An incredibly sad week just became sadder. 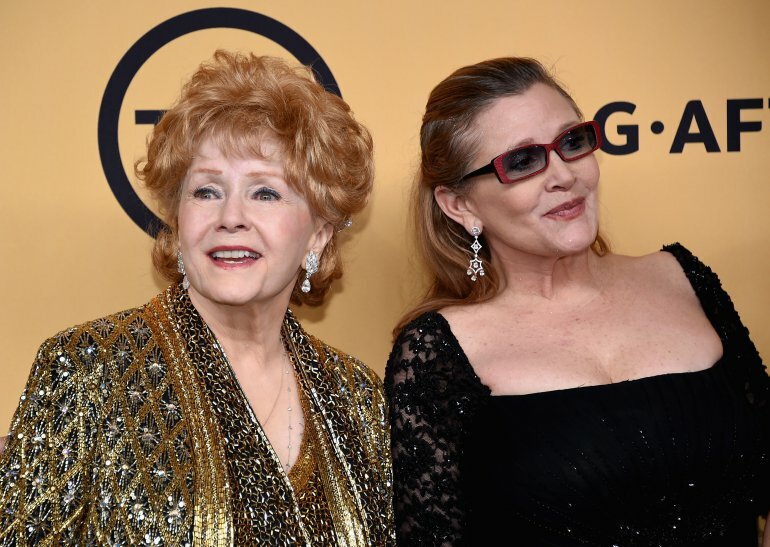 Just one day after the tragic death of Carrie Fisher, we have now learned that her mother, the legendary Debbie Reynolds, has passed away at the age of 84. "She held it together beautifully, obviously, for the last couple of days but she was under a lot of emotion and stress from the loss (of Fisher) and it's pretty much what triggered this event." Later in the evening she passed away. Debbie Reynolds appeared in numerous film and television productions, most notably starring alongside Gene Kelly and Donald O'Connor in the 1952 classic Singin' in the Rain. She was also said to be very fond of being called "Princess Leia's mother." All of us at the SWU want to send our most sincere thoughts, prayers and condolences to the family and friends of Debbie Reynolds and Carrie Fisher. They have suffered a great tragedy, and the World has lost two incredible, inspiring entertainers. They are already greatly missed.